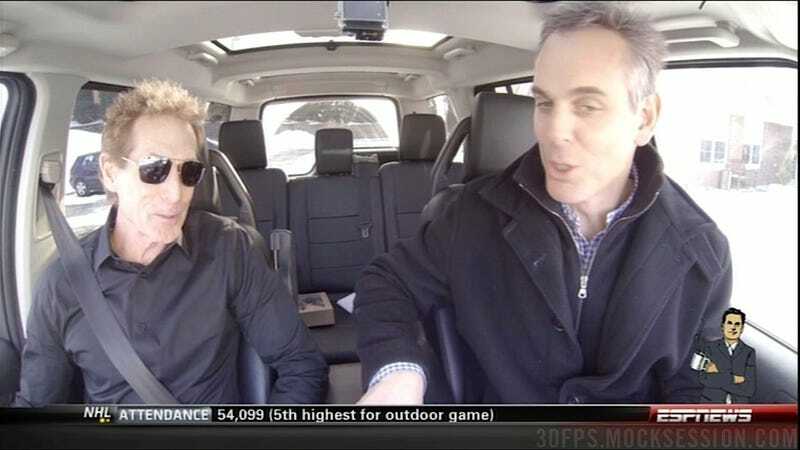 Skip Bayless has decided to leave ESPN when his contract expires at the end of August. His final appearance on First Take will be the day after the NBA Finals conclude. We want to thank Skip for his many contributions to ESPN. His hard work and talent have benefited ESPN for 12 years. According to an ESPN press release, First Take was supposed to broadcast from Chicago starting on Thursday, site of the NFL Draft. An ESPN spokesperson tells me those plans have changed, but declined to elaborate on why. According to a source, it’s because of today’s announcement. Bayless, whose ESPN contract is up this summer, will presumably be paid an enormous amount of money to leave the network he’s called home for over a decade. According to Sports Illustrated’s Richard Deitsch, ESPN was prepared to offer Bayless around $4 million annually. Fox Sports and Bayless’s agent didn’t immediately respond to a request for comment.